The newest and most innovative security products will be on display on the Avigilon stand at Ifsec next month, to be held from 17-19 June in London, UK. The company is preparing to demo some of the industry’s most complete end-to-end security and surveillance solutions. Following the company’s recent acquisition of Videoiq Inc., Avigilon Corporation has added intelligent video analytics to their portfolio of security solutions. 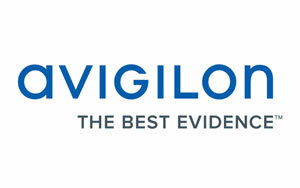 These real-time intelligent video analytic solutions complement Avigilon’s innovative line of high-definition video surveillance products, providing users with a powerful surveillance solution that will help to proactively prevent crime while providing superior levels of identification. The new line of Avigilon HD Pro cameras were announced in January this year, but Ifsec will mark the first time that these new cameras will be seen in action first hand. Harnessing the power of the enhanced H4 platform and the company’s next generation high definition stream management 2.0 technology, the new HD Pro cameras – available in 8 MP, 12 MP and 16 MP resolutions – have been designed to raise the bar yet again for power, performance and image quality in HD video surveillance. Visitors to the show will be able to test drive the latest version of Avigilon Control Center 5, one of the industry¹s easiest-to-use and most powerful video management software systems. This newest release – Avigilon Control Center 5.2 – is packed with new features and improvements, including enhanced enterprise level functionality for users looking to manage permissions and administrative rights quicker and easier than ever before. The recently released Access Control Manager (ACM) 5.0, Avigilon’s revolutionary access control solution, engineered from the ground up by IT and security veterans to deliver a new standard in access control performance will also be in on display. ACM’s web-based platform leverages an open architecture, integrating identity management and video surveillance to achieve the highest level of scalability with the lowest cost.